The China Energy Fund Committee: mouthpiece of the Ye Jianying clan? UPDATE JANUARY 2017: In the years since this post, more information about Chairman Ye Jianming and his CEFC (Huaxin) empire has come to light, including confirmation that he is not Ye Jianying’s grandson (though he is business partners with Marshal Ye’s granddaughter). Read the latest update here first. After making waves last year with its call for war in the South China Sea, the shadowy China Energy Fund Committee (CEFC, 中国能源基金委员会) is back, going head-to-head once again with former PRC ambassador to the UN, Wu Jianmin, over the issue of “narrow-minded nationalism” in China. This time, however, it seems to have provided an answer to the riddle of last year’s “Long Tao” articles, and perhaps even the true nature of their significance. 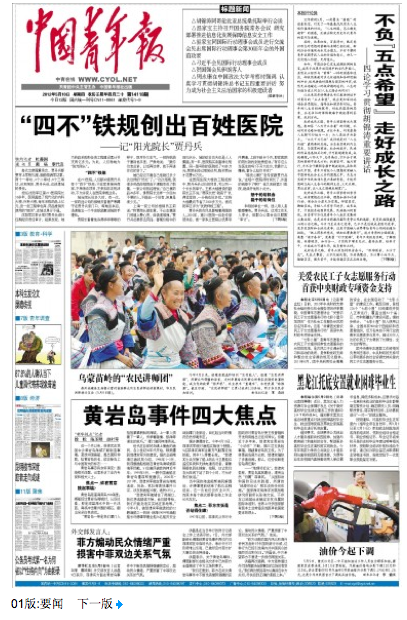 On May 3, it appears (i can’t access the digital version), the Huanqiu Shibao ran side-by-side pieces by Wu and the CEFC’s “strategic analyst” Dai Xu, one titled ‘Beware narrow-minded nationalism’, the other ‘There is no narrow-minded nationalism in China’. As recent articles have pointed out, China is now in its third period of ‘letting 100 schools of thought contend’ (百家争鸣). In this process of contention, one thing to be wary of is that narrow-minded nationalism is now raising its head. This narrow-minded nationalism, according to Wu, has three main manifestations: 1.) 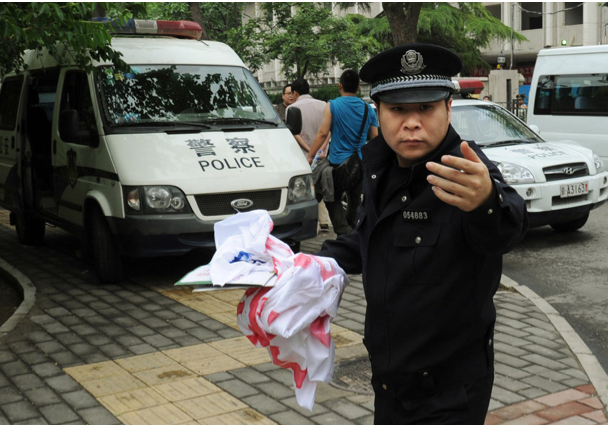 the belief that China is being victimised through international cooperation; 2.) challenging Deng Xiaoping’s “shelve differences and jointly develop” approach, advocating military action instead; and 3.) blind rejection of multinational companies. Since the besieging of the Olympic Torch on a global scale in 2008, the encirclement by the US strategic alliance, and the urging on of internal separatists by external forces, voices advocating self-strengthening and vigilance against foreign anti-China forces creating chaos in China have indeed emerged. The author believes that this represents the shining spirit of China’s patriotic tradition. 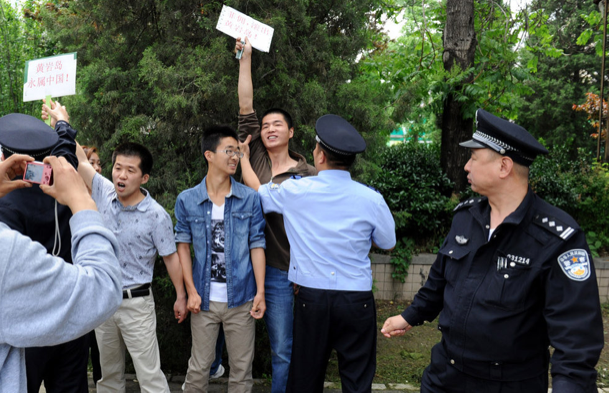 It is a good sign, a sign that China’s people are suddenly waking up from the hallucination of ‘Chimerica’ (中美国). 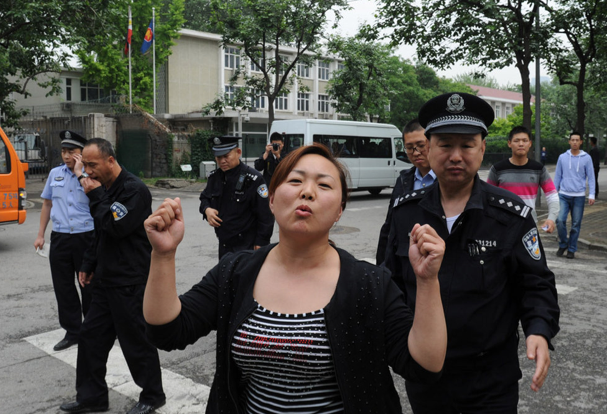 Since Reform and Opening, despite China’s wholehearted constructiveness, we have still encountered much unfair treatment, so the Chinese people obviously have a reason to be angry, and a right to fight back. Chinese people of all strata should support this with voice and action to demonstrate national cohesion, uphold the overall [national] interest. How can this be seen as ‘narrow-minded nationalism’? Dai goes on to claim that America is trying to build its global empire using the same multifaceted, winner-takes-all approach to China as it did the Soviet Union. However, while the US has no fear of China’s economic might, nor its military development, but what it does fear is China’s “patriotism” (爱国主义). 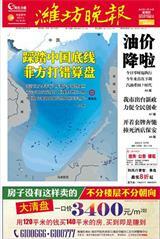 This, Dai concludes, is the only way for China to fight back against America’s imperial ambitions. 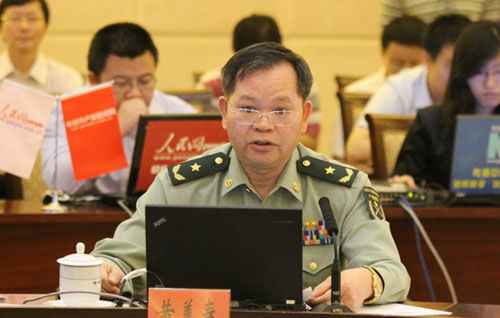 In contrast to the almost conspiratorial overtones of the pen-name “Long Tao” (龙韬), Dai Xu is quite famous: he is a PLA Air Force researcher and author with the rank of colonel (上校) — similar to Luo Yuan — who has often appeared in the PRC media. His 2010 book argued that “China cannot escape the calamity of war, and this calamity may come in the not-too-distant future, at most in 10 to 20 years.” That work focused on the need to resist America’s anti-China plotting; two years on, his writing continues on the same theme. 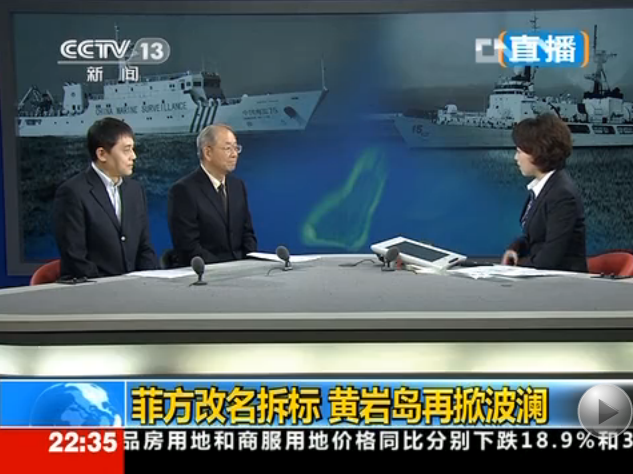 He is also very, very angry about the South China Sea situation, as he demonstrates in this video. His arguments and turns of phrase in the video, make me strongly suspect that “CEFC strategic analyst” Long Tao was, in fact, “CEFC strategic analyst” Dai Xu. Colonel Dai is a professor at China National Defense University, but this time (and on previous occasions if he is indeed “Long Tao”) he has for some reason chosen to appear on behalf of the China Energy Fund Committee. This brings me full-circle to the question i was left with last time: what exactly is the CEFC? China Energy Fund Committee, an international NGO based in China which aims to gather talents both at home and abroad, and integrate essential information from all over the world, to conduct research concerning energy development strategy, international energy cooperation, and global energy security, and to contribute substantially to China’s sustainable development of energy. However, after some more searching this evening, i found the CEFC listed as a “social responsibility” project on the website of one China Huaxin Energy Co. Ltd. (中国华信能源有限公司) , which calls itself “China CEFC Energy Company Limited” in English. 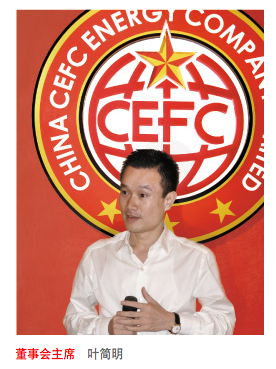 In addition to the “CEFC” in Huaxin’s English name, the logos are exactly the same, so i think we can fairly safely conclude that the CEFC is set up and funded by Huaxin. Privately-run, and headquartered in Xujiahui, a suburb of Shanghai, Huaxin claims in English to have an annual turnover of more than RMB 30 billion (about US$5 billion) and a workforce of 12,000. In the Chinese version only, it claims that the RMB 30 billion is actually just its domestic turnover, and that it also has an overseas turnover of more than ten times that amount — a staggering US$50 billion, which is just under 1/4 PetroChina’s revenue (and with a workforce only 1/40 the size of PetroChina’s). I’m not saying it can’t be true, but….can it? CEFC specializes in oil, petrochemical and energy industries, with its mission of safeguarding national energy security, supporting the development of national strategic industries, and assisting national expansion and protection of overseas economic interests. At present, it has established comprehensive commercial and industrial systems that involve both the upstream and downstream of the domestic oil and petrochemical industries, and cover the geological areas of Southeast Asia, Middle East, Africa and North America. If it’s an oilfield services company, focusing on security, then perhaps that could explain its pro-war stance? He seems rather young to be in charge of a multi-billion dollar company, and if he’s a self-made billionaire, then he’s done extremely well to maintain such a low profile. Could Ye be a relation of the PLA immortal, and reform-era powerbroker, Marshal Ye Jianying 叶剑英? The young chairman certainly seems to be somebody, judging by the copious references in the company periodical to “studying Chairman Ye’s” speeches and articles. According to John Garnaut, one of the most clued-up foreign journalists when it comes to China’s princelings: “Marshal Ye engineered Xi Zhongxun’s appointment as party boss of Guangdong province and probably helped secure a career-building military post for his son Xi Jinping.” As such, Garnaut writes, Xi Jinping “owes a great deal to the families of both Marshal Ye and Hu Yaobang”. Let me stress: I have scoured the internet for the past 2 hours and found no evidence that Ye Jianming is a member of Ye Jianying’s family. Nevertheless, it really does seem quite plausible. If the company is anywhere near as big as it claims to be, then being part of the Ye clan is probably the most likely explanation for why such a young guy is in charge of such a huge company. If he is, then we are talking about a very powerful guy. As in, really, really powerful — super-rich, with super-strong connections in both party and military. If this is true, then attaching the CEFC label to a media commentary would put the weight of the Ye clan behind it, at least as far as intra-Party and PLA readers are concerned. And Dai Xu has chosen, probably on numerous occasions, to use his “CEFC strategic analyst” title, rather than his National Defense University position. Translating the following profile on Luo Yuan led to an extremely stimulating discussion with a Chinese friend last night on the topic of this so-called “Major-General”. My friend sees the Luo Yuan media phenomenon as serving an important purpose for the central government: Luo basically acts as a layer of interference between the decision-makers and outside observers. Among the various possibilities raised in the previous article on Luo Yuan, then, this explanation implies that his prominence in the media is very much a result of consensus at the top of both the military and the party that it is beneficial to have a hardline attack dog. 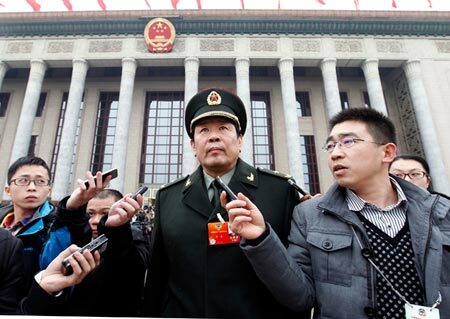 The logic is strong: official-ish voices, those of like Luo and other hawkish paramilitary figures such as Major-General Zhang Zhaozhong of National Defense University, add a layer of unpredictability to Chinese foreign policy, a la North Korea’s antics. My friend dismisses the idea that Luo Yuan could represent any kind of policy faction or alliance within the party or military; Luo has no influence of his own, he argues, and no genuine policy player would agree with him. The implication of this is that no-one in a position of power in China would actually want to act aggressively on the South China Sea issue. The players in the decision-making process, whoever they are, including military leaders, are much too rational to entertain such ideas. The bigger picture that starts to take shape is one in which the China Threat Theory is actually something that the Chinese government wants, and perhaps even needs, in order to hide its soft underbelly. Although the party-state’s approach to the South China Sea disputes is often publicly criticised in China as weak-kneed, my friend places this approach among the government’s continuous, long-term policies that are not subject to internal competition or debate. We can certainly discern a pattern of opportunism in China’s actual actions in the South China Sea, from the taking of the Paracels from South Vietnamese remnants in 1974, to the 1988 battle with Vietnam over the Union Atolls in the Spratlys as Vietnam’s backer the Soviet Union began to crumble, to the occupation of Mischief Reef in 1995 in the wake of the US’s departure from the Philippines. However, the question might be asked: if China is so rational on the South China Sea issue, why did it alienate its neighbours and draw the US in by stepping up its presence in 2009-2011? Well, Michael Swaine & M. Taylor Fravel have shown, convincingly in my view, that China’s alleged assertiveness, or aggressiveness (or even “aggressive assertiveness“!) during that period was largely explainable as a series of responses to the actions of rival claimant states, mainly Vietnam and the Philippines. 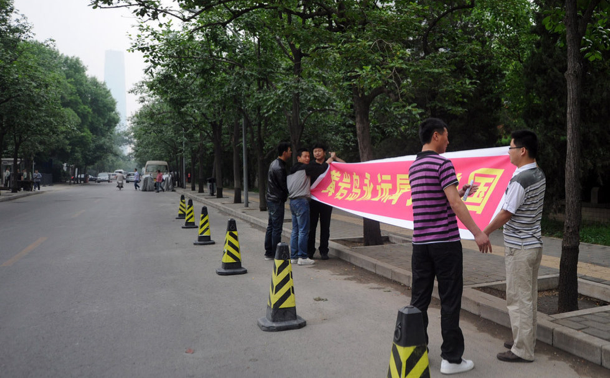 That still leaves the question of Luo Yuan as an opinion leader in Chinese society. My friend’s reading of the situation suggests that the CCP is so confident of its control of domestic nationalist opinion that it doesn’t feel like it’s playing with fire at all when it allows mass outpourings of support for Luo and criticism of the policy status quo online. This confidence was especially apparent in July last year when China agreed to the Guidelines for the Implementation of the South China Sea DOC, inevitably causing nationalist outrage online. Regarding the popular online support for Luo’s views, my friend puts this down to simple venting. Indeed, the article translated below suggests that the Chinese people just want to see someone in the military express hardline views, and want to believe that someone in power agrees with them. Nevertheless, he sees the allowing or facilitating of Luo Yuan’s media profile as primarily an externally-directed tactic. 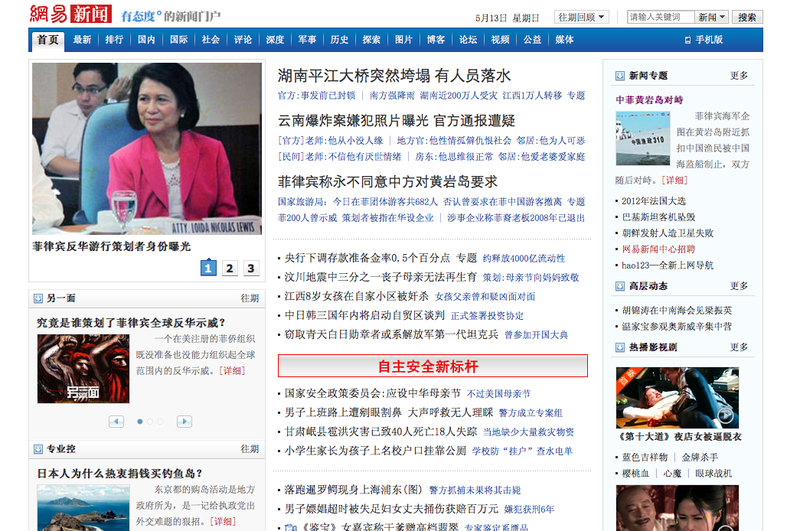 So perhaps the CCP trusts that the public, on the whole, really doesn’t agree with Luo’s standpoints. I will be testing this idea through some offline opinion polling later this year – a likely finding of little support for stronger action in the South China Sea among everyday people, would support this conclusion. (This would be exactly the opposite of prominent US scholar Susan Shirk’s claim that the leadership feels threatened by a madly nationalistic public.) After all, a tiny fraction of the population can make a lot of noise online, as many of the South Sea conversations documented here illustrate. 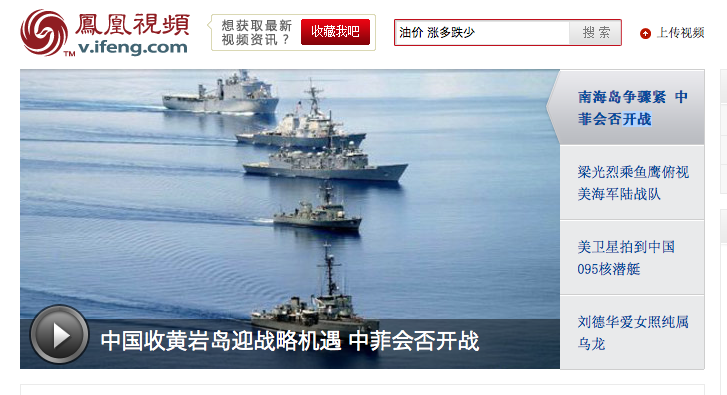 So in sum, Luo Yuan’s media presence, and the provocative media coverage of the Scarborough Shoal standoff that i mused about here last week, could all be part of the same strategy of disinformation for the outside world: let guys like Luo Yuan rant, let the Chinese media make him seem credible, and let the internet users provide “evidence” that the Chinese people are angry about the South Sea and demanding tougher actions, when in fact they are apathetic, and tougher actions are not on the policy agenda. This is basically a full inversion of the idea of China’s domestic situation dictating China’s foreign policy; instead, the domestic situation is being manipulated and used to China’s advantage at the international negotiating table. It suggests a broader and deeper application of the principles of the “strategic logic of anti-foreign protest” – aka the nationalism card. The following profile on Luo Yuan, from the April 9 edition of Southern Window, gives the impression of an angry, impotent, and even confused Luo Yuan fighting an unwinnable battle against China’s moral decay. And despite his princeling background, he doesn’t appear to particularly well connected either. Note: the translation is a summary one in some parts, but mostly it is sentence-by-sentence. The writer likens the courtyard at the Chinese Academy of Military Science to a “freeze-frame” scene. Luo Yuan sums up the peace and quiet as the site of “a battle without smoke, and a place for pre-practice of war, of concealed dragons and crouching tigers”. Some people deride the Chinese Academy of Military Science as being on the sideilnes, but Luo Yuan quotes a Deng Tuo poem on the ability of writers to cause bloodshed.